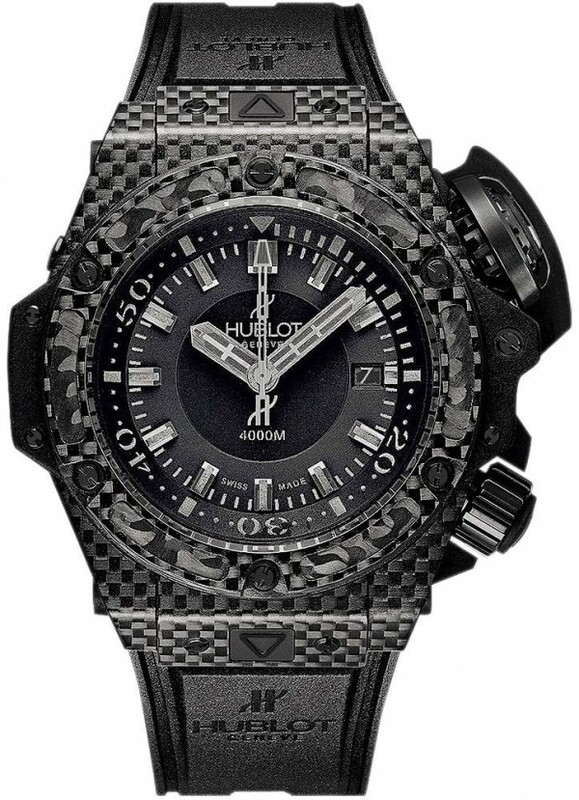 Own this beautiful and large Hublot King Oceanographic and enjoy this luxury timepiece. Watch offers you a Carbon Fiber case with Black rubber strap. Watch has black dial with Silver index. Watch is a great timepiece and is limited to 500 pieces. Wear It in great health. Absolutely unworn, never tried on , perfect with no defects Hublot Limited Edition Sports Watch. the watch movement is in perfect condition, the watch always keeps perfect time, never late or ahead.